Welcome to the Cokato Corn Carnival! Children’s prize drawings are held Tuesday and Wednesday afternoon. These are free but you MUST BE PRESENT TO WIN. For more information, stop in at one of the information booths at the park. We encourage you to purchase a $3.00 raffle ticket from one of the information booths. You will receive a free 2018 button and a chance to win cash prizes. The winning names are drawn on Wednesday evening at 10:00pm. You do not need to be present to win. Information about the cash prizes can be obtained at the information booths. As an important source of it’s fundraising, a great way to support the Corn Carnival is to purchase a raffle ticket! 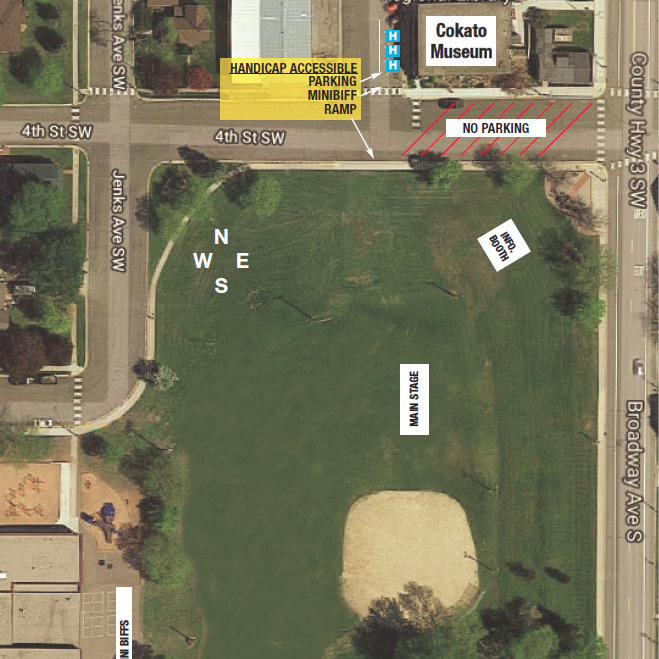 Information booths are at the northeast corner and near the corn stand on the south side of the park. Ride tickets can be purchased at the Stipe Shows ticket booth in the Midway. 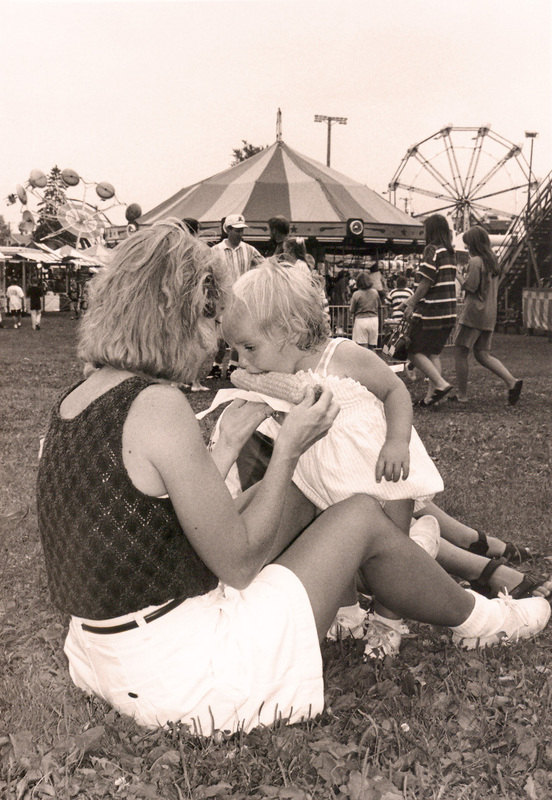 Watch for weather announcements and updates on this website or at the Corn Carnival Lovers Fan Page on Facebook. Cokato Museum & Akerlund Studio open. Kiddie Parade – Participation treats will be given to all who enter. Food stands, Stipe Shows rides and midway open. Bingo opens following conclusion of parade. Please note that there is no corn-on-the-cob served Monday evening. Stipes Shows rides and Midway open. Registration for children’s prize drawing (14 and younger), south end of bingo stand. Must be present to win. Children’s prize drawing, main stage. Must be present to win. 72nd Annual Miss Cokato Coronation. Stipe Shows rides and midway open. Serving free corn-on-the-cob. (Donated by Faribault Foods). Entertainment by Mid Minnesota Concert Band, near the main stage. Drawing for the 2019 car. (Ten $100 and one $500 alternate prizes also awarded. The Corn Carnival and Parade Committee request that participants hand out items, including candy, along the parade route. With the safety of all in mind, items MAY NOT be thrown from any motorized vehicle, including lawn mowers, golf carts, etc. The kiddie parade begins at 6:00 p.m., with sign-up starting at 5:30 p.m. at the corner of Mooers Avenue & 7th Street East. No entry form is needed for the kiddie parade. In a break from past years, there will be no specific categories for the kiddie parade. Entries are encouraged to be as creative as they wish. A reminder also that no motorized vehicles are allowed in the kiddie parade (including riding lawn mowers). The main parade begins immediately following the kiddie parade. All entries must enter the lineup at 7th Street and U.S. Highway 12. Lineup runs from the corner of Mooers Avenue & 7th Street East to US Highway 12. For more information about the main parade, email Mark Peterson or contact the Cokato Corn Carnival. Registration forms available in Microsoft Word or fillable PDF format. Click here to download a registration form as a fillable PDF. 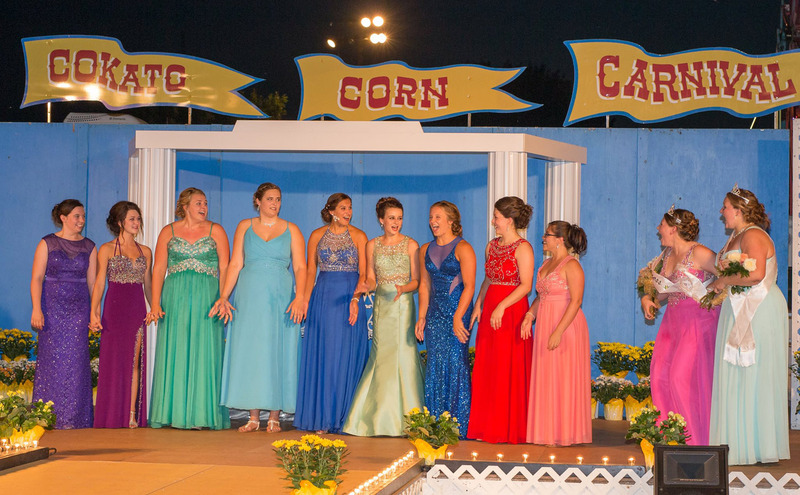 The Miss Cokato Coronation takes place Tuesday evening at 8:00 on the main stage in Peterson Park. The park has grass terraces where you can sit and watch the entertainment! Feel free to bring along a blanket or lawn chair for your comfort. 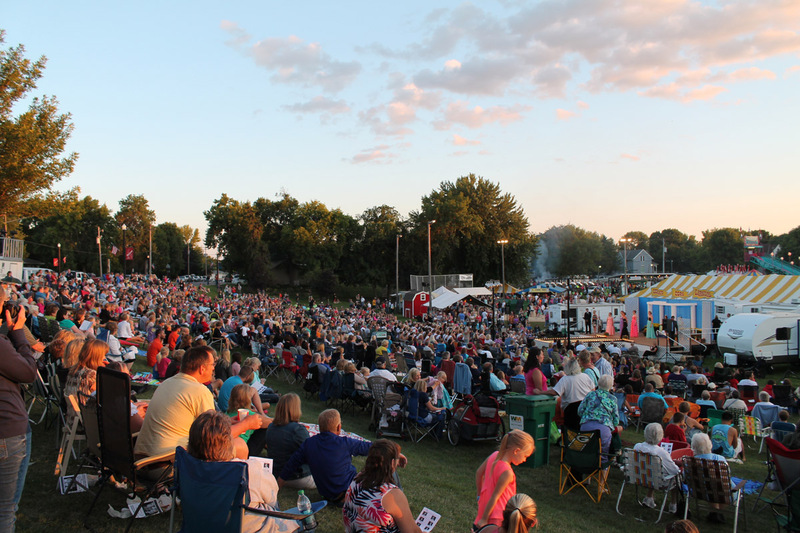 For more information about Cokato’s royalty program, email Cokato Royalty or contact the Cokato Corn Carnival. To see past Royalty, click here. The Cokato Corn Carnival and Cokato Fire Department hold a car raffle each year. The tickets are $100 each and only 300 are sold. Grand prize is a new car. 2nd prize is $500. Additional prizes are 10, $100 winners. Tickets can be purchased at Cokato Motor Sales, Cokato City Hall or any Cokato Fire Department member. Proceeds go to Cokato Corn Carnival and the Cokato Fire Department. As an important source of it’s fundraising, a great way to support the Corn Carnival is to purchase a raffle ticket! Click here to find out how to purchase a ticket. To see the past winners, click here. We have built a brand new, improved corn stand to serve the free corn. A new handicapped accessible ramp is being added to the stage.